This is a comfort meal to me. I remember my grandmother cooking this a lot when I was growing up. When I first started cooking this is a meal I made often. It is inexpensive and comes together easily. Start by mixing your milk and soups together. 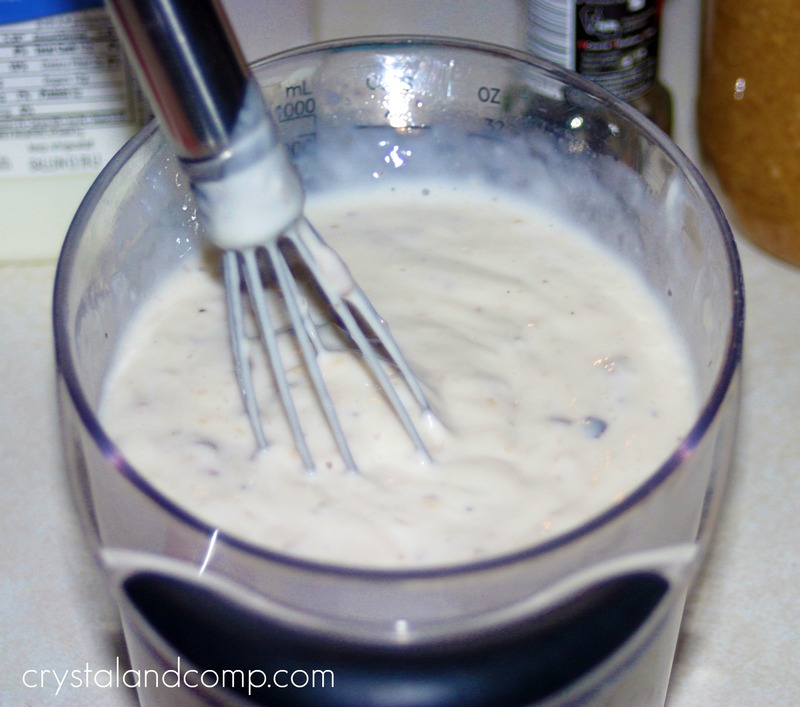 Using a whisk will help get all the lumpy clumps out. Add some pepper to taste and toss in your garlic as well and whisk (or stir) until combined. Add a package of pot roast seasoning. Whatever brand is just fine and it does not have to be intended for slowcookers. Your doing it for the seasonings. 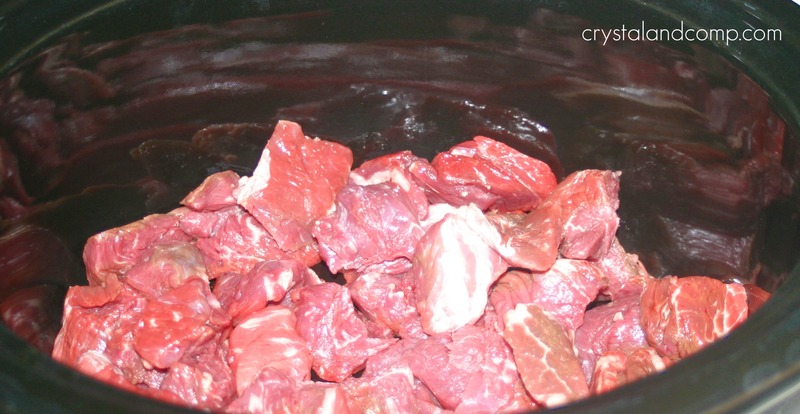 Toss your uncooked meat in the crockpot. Pour the soup mixture over your meat. Put the lid on it and cook for 10 hours on low. You can cook for 4-6 hours on high, but the slower you cook it, the more tender your meat will be. The last 30 minutes of cooking, add 8 oz of sour cream and stir. Put the lid back on the crockpot and let it finish cooking. At this point, cook your egg noodles on the stove top according to the package directions. 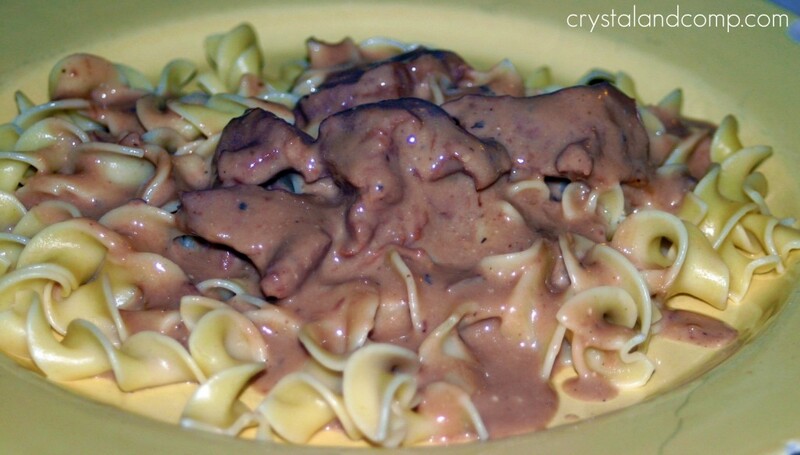 Serve the creamy meat mixture over the egg noodles and dinner is done! You could also serve over steamed rice if you choose. This looks yummy! I’ve added it to my cookbook bookmarks. Thanks. Awesome April! Thanks for reading and I hope you enjoy. You made it seem so easy. I’m putting it on my menu for next week. Easy is good. ha! Thanks, Pamela! 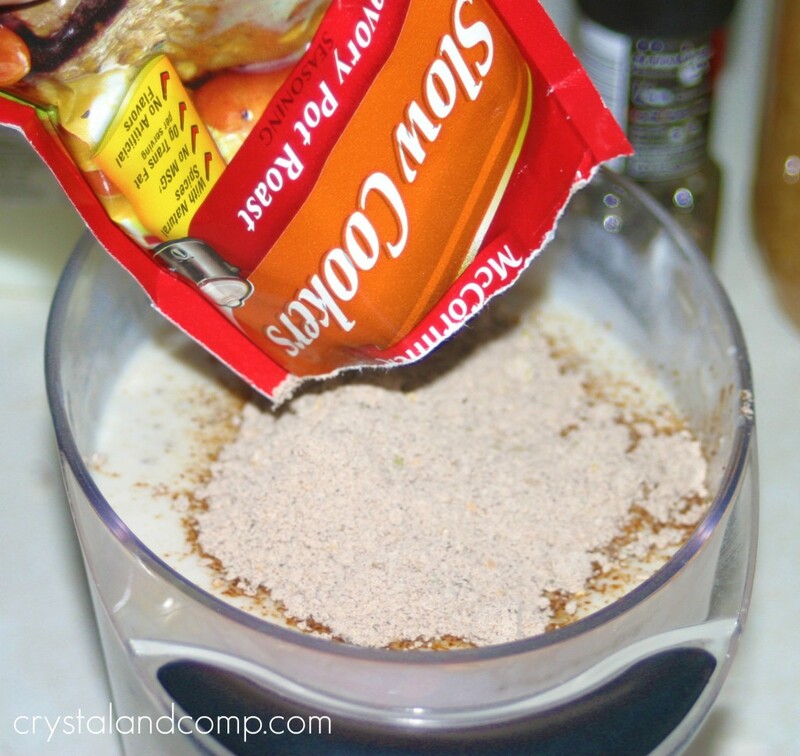 It really is easy to make… as most things crockpotable are. Ooooh, that looks yummy. It’s very similar to Beef Stroganoff. 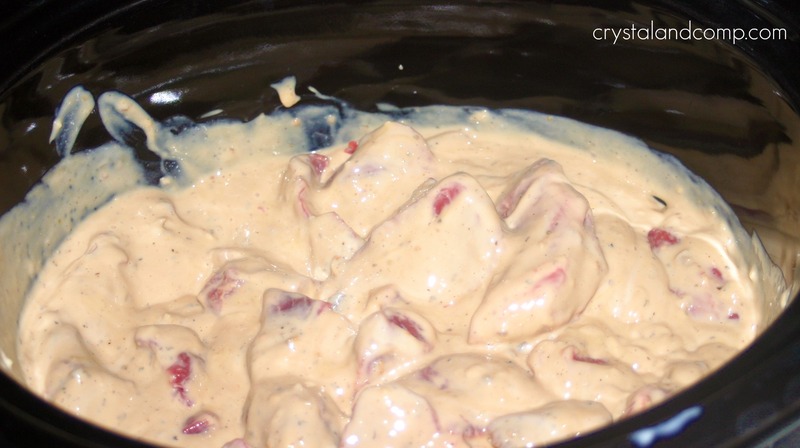 I love having a new slow cooker recipe and will surely try this soon. Thanks! Jaci- a word maker-upper I am indeed. Crockpotable is the new rage! So glad this is a meal your meat eaters are looking forward to. YUM! This sounds good and BONUS! EASY!!! YAY! I’m hosting my first link party today Cast Party Wednesday and would love it if you came by and shared this tasty recipe with us. This looks delicious! I’ll definitely have to give it a try! Found you at the Thrilling Thursday’s blog hop and am glad I did! Am a happy new follower :). That looks delicious. I am a new follower. Check me out. 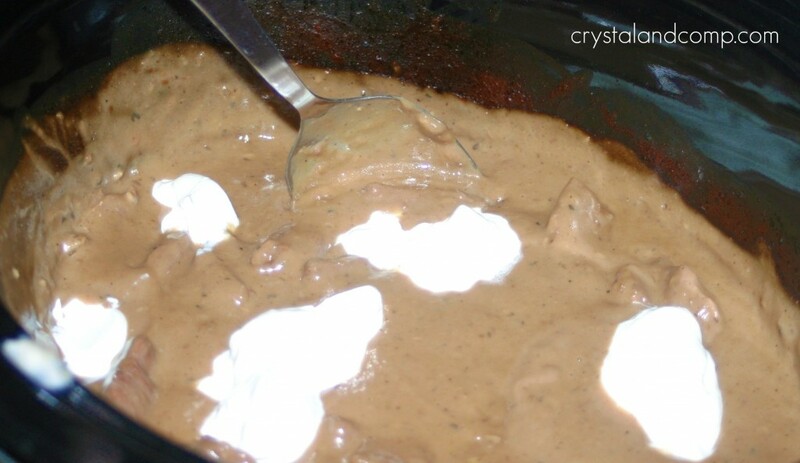 This is right up my alley & even though I’ve seen this dish before, I’ve never made the attempt to make it & love the crockpot version you have here. Bookmarked it too & will be making it soon! Thx! This looks delicious and is a perfect fit for a solar oven! Thanks for sharing in the It’s a Keeper Thursday Project. Come visit when you can. Thank you for this recipe! Will have to try this out! beef and noodles is one of my favorite dinners! Thanks for sharing with Made From Scratch Tuesday! Delicious and easy too. My kind of recipe!